Do You Have The Psychic Ability To Feel Others Feelings? Why can I feel other people’s feelings. I used to ask myself that question all the time Then I discovered the answer psychic abilities. Do you have the psychic ability to feel others feelings and emotions? Have you ever experienced a moment of oneness with someone? It may have felt as though you are one with another person, a feeling of psychic intuition, like a mind-meld. Can you feel other people’s emotions? These psychic phenomena truly do happen. Many people experience deep empathy, where consciousness merges with other people. If you are a highly sensitive empath you will know all about this. It is basically the feeling of oneness with another person. Most people experience moments of feeling another person’s emotions, where they feel as though they are one with the world or with another person. Many people experience psychic intuition, a feeling of oneness with another person. Many reports show “Spontaneous knowing”, a phenomenon in which people communicate across long distances just by thought. It is scientifically impossible to prove whether we are individual or whether we are all one. Brain scans show that both the feeling of oneness and the feeling of separation are in fact sensations created by the brain’s default network, which governs self regulation. I used to worry about this weird phenomenon. “Why can I feel other’s feelings?” I would ask myself all the time. Then I discovered that it is actually a good thing. If you have the psychic ability to feel others feeling you may be a spiritually awakened person. Can we really have the psychic ability to feel others’ feelings? Millions of people every year search for new online psychics because they believe in the psychic abilities. But can we truly feel what other people feel? And if so, why can I feel other people’s feelings? Well, let me open your eyes little. The standard, contemporary view of life is that we are individuals. We have our own bodies. We have our own minds. We have or own brains. We are individual people. So the notion goes. The rest of the world is out there. They are separate to us. Science seems to confirm this idea of individuality, of “us” and “them”. Science tells us that we are a combination of particles, atoms, and molecules working together to create our being, and that all “mental phenomena” are the result of the activity of those particles in our brains. And because of all this, science suggests that we cannot feel what other people are feeling, that psychic intuition is not real. When we think we feel what other people feel, we in fact are only projecting our own feelings onto other people. Or is it just the token answer of scientists who have yet to discover the real truth? After all, every day scientists discover new truths that disprove what they formerly held as gospel. And sometimes science is not the be-all-end-all. Frankly, science be damned because science still cannot tell me why can I feel other people’s feelings. Human experience does still count for something, even in the 21st Century. 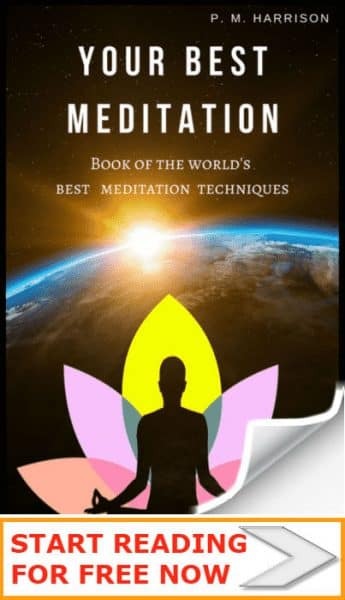 If you want to experience these psychic powers more often, use these psychic meditations! Odds are you have experienced this sensation at least once in your life. You get the impression that you are feeling what the other person is feeling. It’s a moment of connection through empathy. You feel someone else’s emotions. Empathy is the ability to feel what other people are feeling. Highly sensitive empaths, for instance, are very in-tune with the emotions of other people. Most spiritually awakened people experience moments of deep empathy. These are moments when we truly step into another person’s mind and feel what they are feeling. As a highly sensitive empath and spiritually awakened person, I can generally look at anyone, even a stranger, and get a very strong sense of what they are feeling. You can feel another person’s pain. You can feel another person’s emotions. At times you can even experience another person’s thoughts. This state of being leads to altruism, to universal loving kindness, the desire to do anything to alleviate other people’s suffering, because their suffering is your own suffering. Not everyone is a highly sensitive empath. Some people only experience rare moments of empathy. The average person experiences many moments of shallow empathy, moments where they get a vague sense of what another person is feeling, but nothing deeper than that. Psychopaths and sociopaths have zero empathy. It is that very lack of empathy that leads psychopaths to harm other people—because they do not feel the other person’s emotions. 2. Is a feeling of oneness with another person real? The second type of experience is oneness. This is a feeling of oneness with another persons feelings and emotions. This is a state that Buddhists create when they meditate (usually using Bhakti meditation). Oneness creates the sensation that you are escaping your individual self, that you are becoming one with the universe. Brain scans show that meditating relaxes activity in the brain’s default network and that this reduces the separation between the individual and the outside world, creating the feeling of oneness. Many meditators experience moments of oneness with the emotional state of another person. This state feels like we are sharing emotions with a person (often a twin flame, very close friend or relative, or someone we have a natural rapport with). Sometimes, our psychic intuition zero-in on another person’s emotions, and this is how we can feel other people’s feelings. Then there is the state of interconnected knowing. It is an advanced psychic ability that manifest at important times in life. This is a spontaneous act of communication between two people, without words or any other known means of communicating. There are stories of family members who can feel each other’s fear. One family member will be in an emergency and the other family member will intuitively sense it. I vividly remember one time when I experienced this state. It was a March morning in 2014. I woke up knowing that something was terribly wrong with my father. Two hours later I received a phone call telling me he had died from an accidental fall. Such moments are rare, but they do happen. 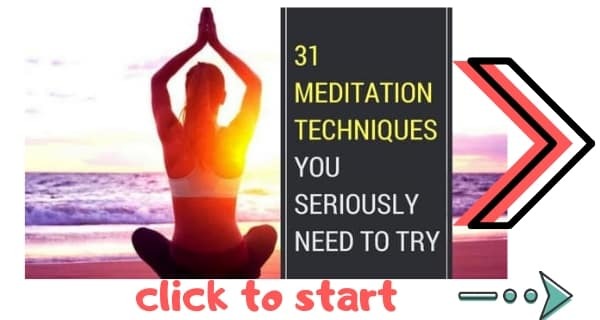 If you would like to develop these psychic abilities in yourself, try my meditations for intuition. Science struggles to account for these phenomena. Yes, you and I know we can feel other people’s feelings psychiclly, but science can’t handle this idea. Psychic intuition is still more science fiction than hard science. Though that is arguably more a failing of science than a disproving of psychic abilities. Materialists argue that empathy is not actually about feeling another person’s emotions. They say it is about selfishness, about us projecting our emotions onto other people. And those moments where a person learns information as though psychically; they say those moments are mere coincidence (though the odds on that are often one in billions). I know I can feel what other people feel and no one can tell me otherwise. So are we all interconnected? Iif we are all interconnected then these “psychic abilities” or “highly empathetic abilities” are no longer phenomena. They make perfect sense. These psychic moments are just one part of a single body telling communicating with another part, like your brain communicating with your moth when you speak. What if all matter is conscious? That is the view of the “panpsychist”, those who believe that all is mind. And each year more and more psychologists and scientists take-up the panpsychist view. Panpsychists believe that consciousness is like mass of gravity, that it is a universal ever present. And when we accept the possibility of panpsychism, we realise that actually heightened empathy and oneness aren’t mental phenomena, they are very real, utterly logical things. Do you believe in psychic abilities and intuition? Can you feel what other people feel?